Silestone countertops are combination of natural quartz and other raw materials that are extraordinarily hard and resilient. These characteristics combine to create an ideal surface for kitchen countertops, bathrooms, flooring and wall siding. Silestone Natural Quartz is a surface material with outstanding properties created for kitchen and bath design applications. It offers beauty similar to natural stone in a wide range of colors and extraordinary textures. 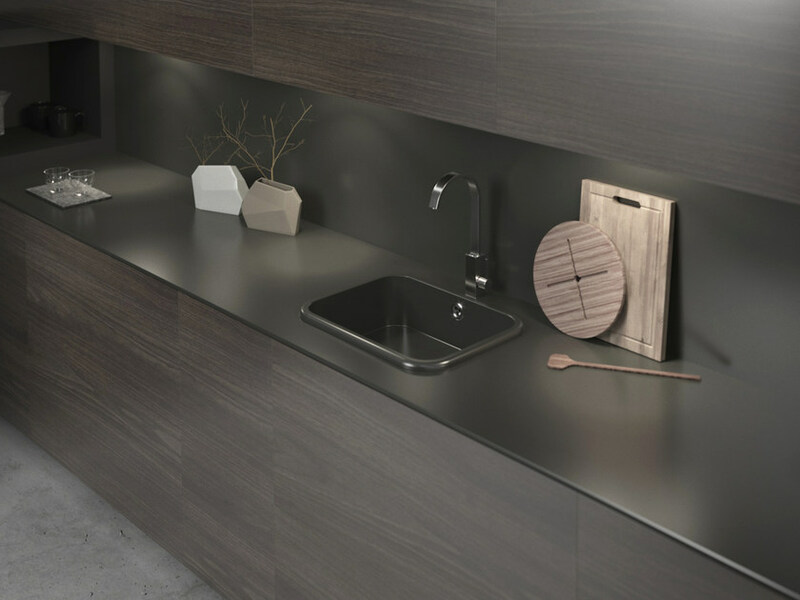 Silestone is a non-porous surface and highly resistant to staining caused by coffee, wine, lemon juice, olive oil, vinegar, makeup, and many other everyday products. Silestone is fabricated from natural quartz, one of the hardest minerals found in the Earth, and small amounts of glass or metallic flecks are added to create variety, resulting in beautiful countertops. Customers are at the center of Cosentino's vision and values, therefore it is important that we provide key information specific to each of the sectors in which we operate: architects, designers, kitchen and bath retailers. Indisputable leader in countertops for 25 years, Silestone is made of more than 90% of natural quartz what makes it possesses a strength of its surfaces, by providing the outstanding resistance and durability properties that you need in your home. These characteristics become it the best option not only for your kitchen, but also in the bathroom, floors, and siding. Silestone countertops provide the touch of distinction and functionality that your kitchen needs. Introduce the beauty of quartz into your home and bring elegance and resilience to your rooms. Silestone's technology N-BOOST is the result of efforts in investigation and development to take the Silestone functionality to the next level. It’s a special treatment on the material surface in a molecular level that boost its technical properties, by making of Silestone countertop cleaning and maintenance are easier than ever, and the aesthetics ones by getting more intense colors and an outstanding shine due to the effect of the light on it.